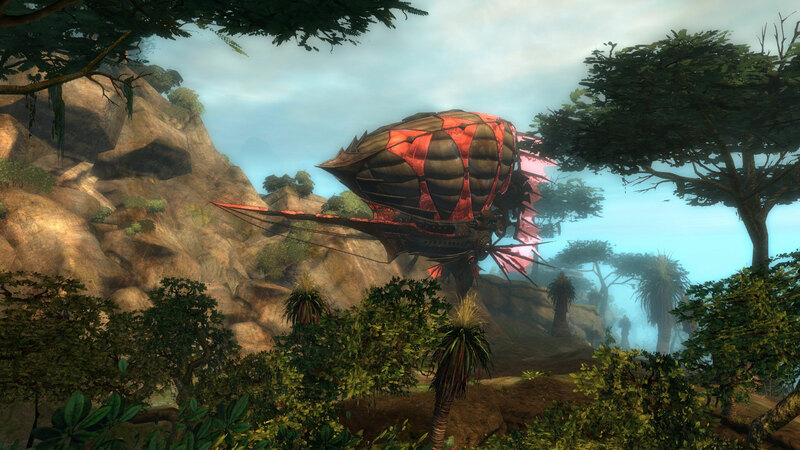 Aetherblades are massing in the Edge of the Mists. Explore a beautiful new map full of exciting challenges. 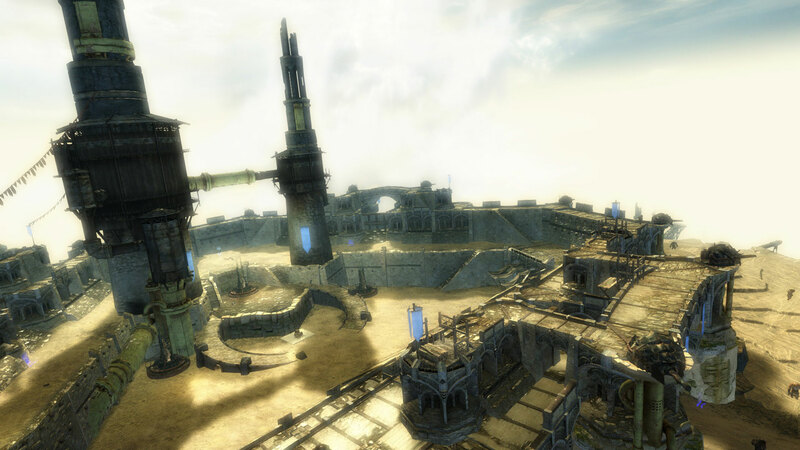 The World vs. World battle in the Mists has spilled over into a brand-new map: the Edge of the Mists! 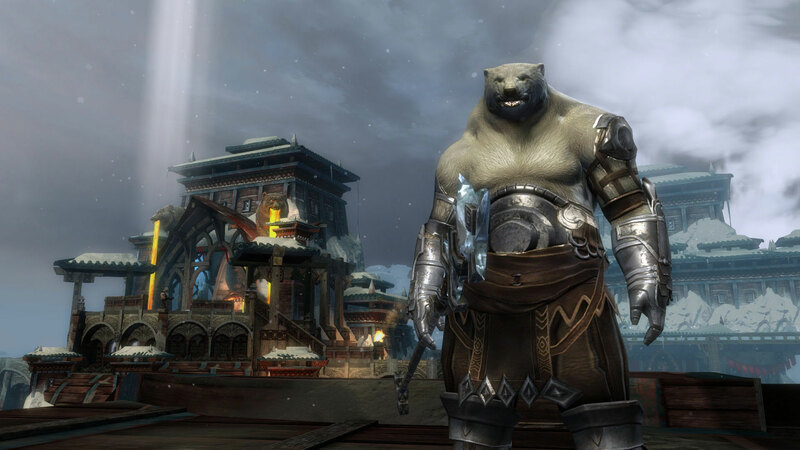 Never wait to participate in the action of WvW – unlike existing WvW maps, if one instance of the Edge of the Mists is filled up with players, a new one is created so anyone who wishes to fight in the Mists and work on WvW abilities and achievements can do so. 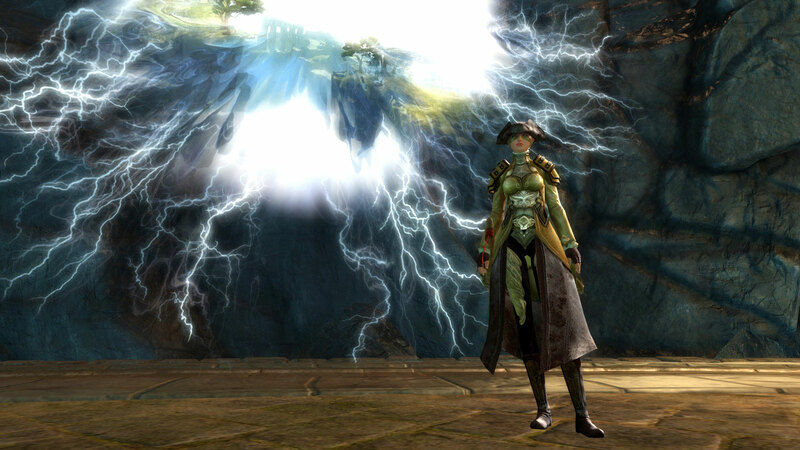 New and Improved WvW queue! 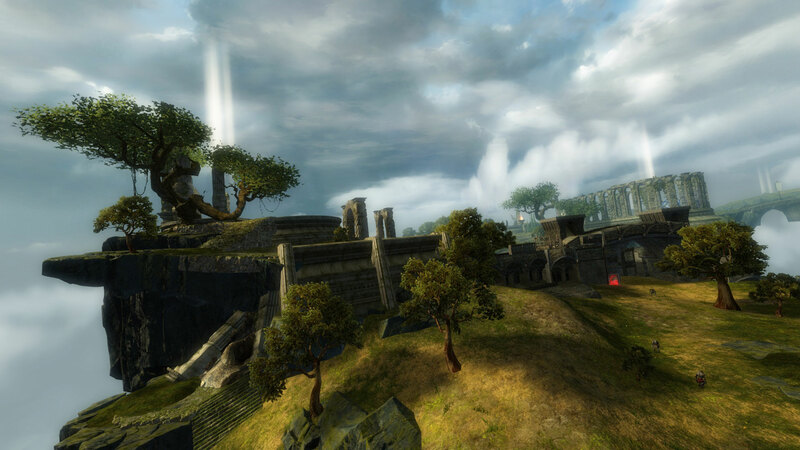 WvW has received a major update to the queue system! If there’s a queue to join a WvW map, approximate number of people in the queue will be visible before you try to join that map. 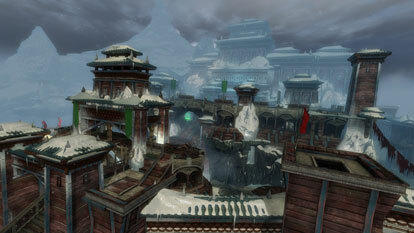 Additionally, when you’re queued for a WvW map, you will be able to see your position in the queue. Journey into the Edge of the Mists! 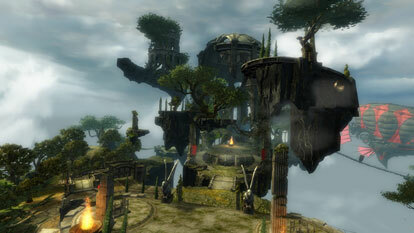 Find Braham and Taimi inside the Mists. 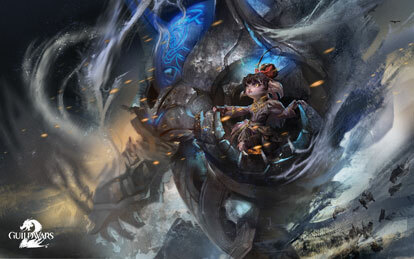 Taimi and Braham are stranded in the Edge of the Mists! 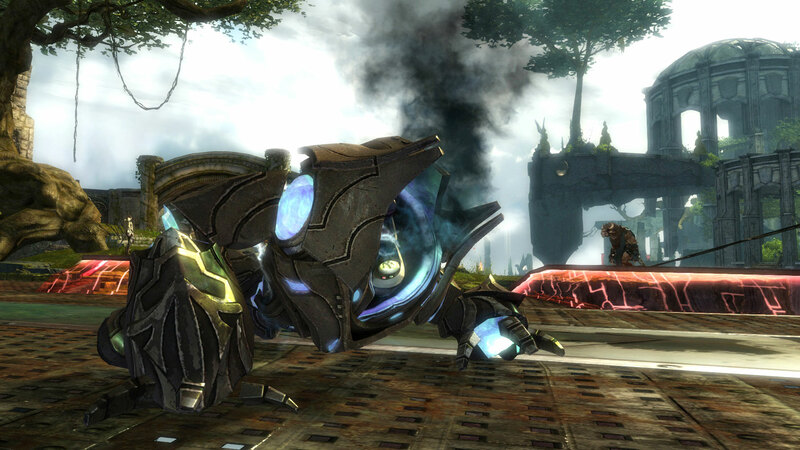 Help them out by tracking down golem parts to repair Taimi’s broken-down golem, Scruffy. 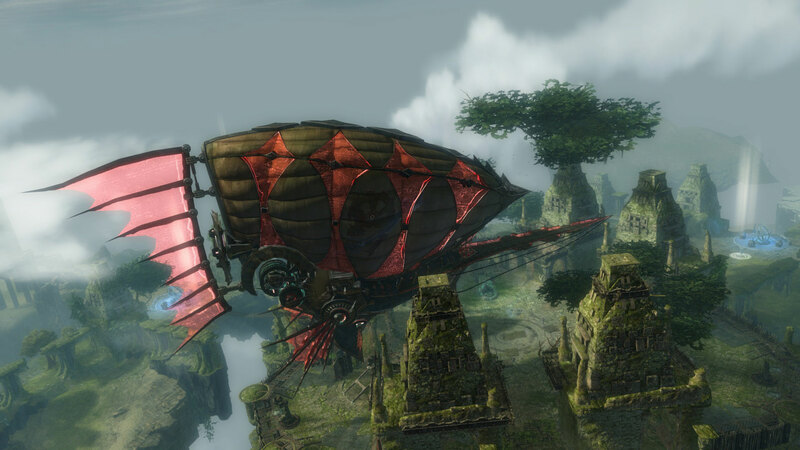 Be sure to keep a wary eye out for Aetherblade pirates, who have recently set up a fortification at the heart of the Edge of the Mists. 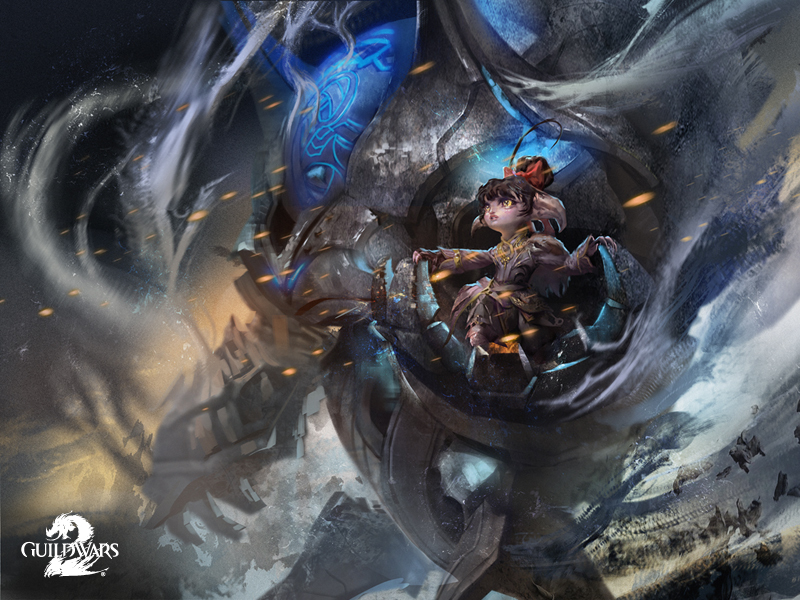 Marjory Delaqua and Kasmeer Meade have been busy collecting different artifacts from the last year of Scarlet’s machinations. 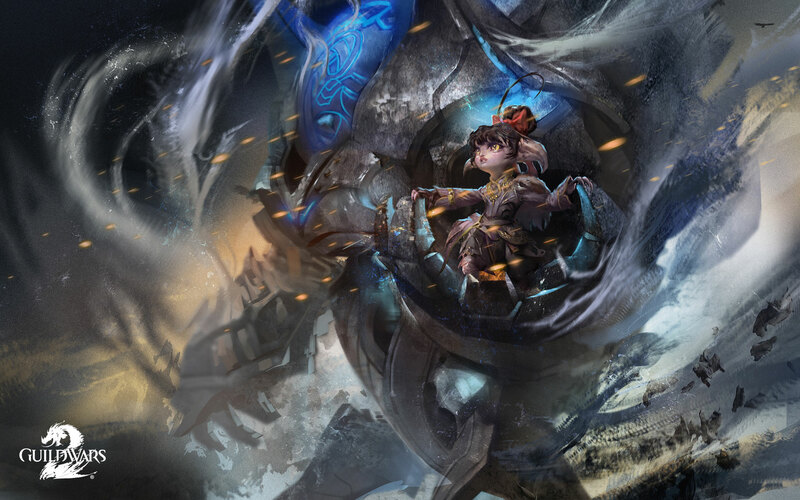 Scarlet’s attacks have been ramping up in scale – head over to the Dead End Bar lead the investigation team in puzzling out her plan before it’s too late! 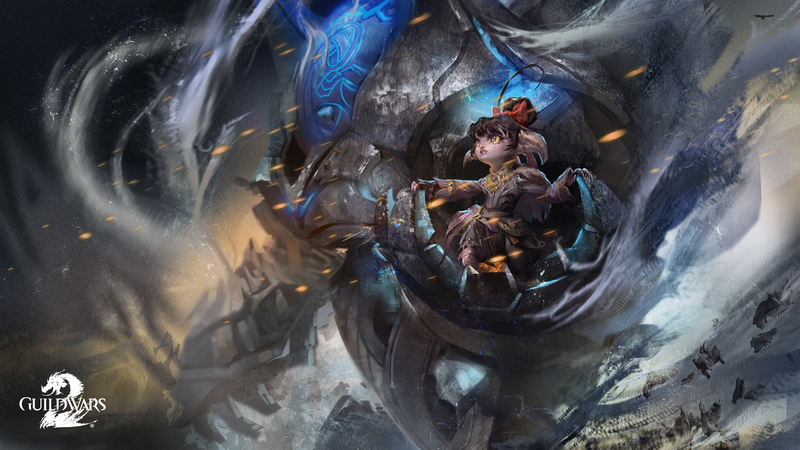 Join Marjory and Kasmeer and puzzle out Scarlet’s endgame! Love is in the air! 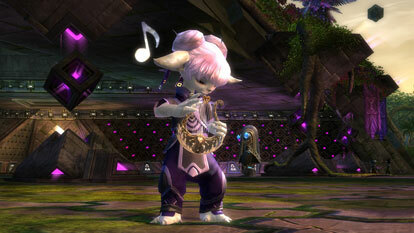 Our talented weaponsmiths have lovingly crafted a brand-new set of heart-themed Luvestruck weapons! 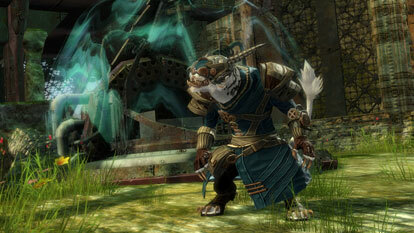 Collect claim tickets from Black Lion chests and trade them into Weapons Specialists for these fancy new skins. Unwrap the Box of Chocolates, our newest Costume Brawl item! Taste test chocolates, scatter wrappers, and occasionally enjoy a romantic dinner! Soothe and serenade your friends with the new Harp musical instrument, which is guaranteed to produce only the sweetest tones. For this week only, we’re bringing back our Minis 3-Pack Set 1 – fill out your Set 1 mini collection while you can!